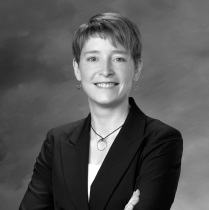 Celesa Horvath is a consultant, with some 20 years of experience in environmental assessment, regulatory affairs, corporate responsibility, and sustainability. She's been involved in projects across Canada and internationally, including China and the Middle East, for clients in the energy, mining, infrastructure, transportation, and government sectors, providing both strategic advice and practical implementation support. This post originally appeared on the Making Sense of Responsbility blog. Posted with permission of the author.